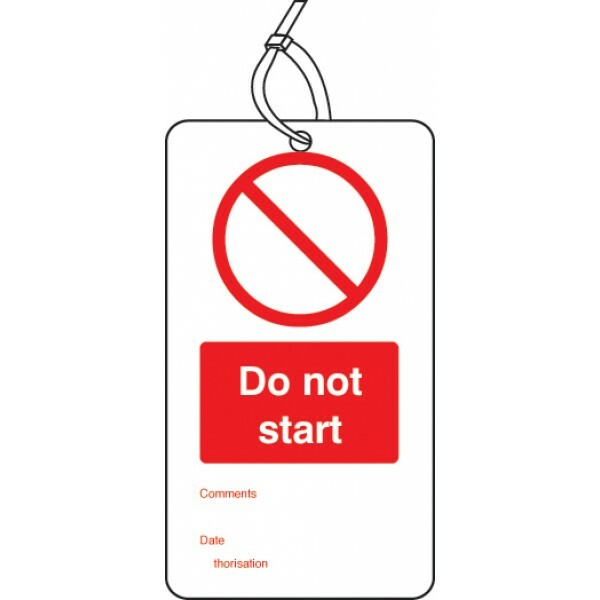 This double sided safety tag reminds staff that a machine should not be started up. This double sided safety tag reminds staff that items should not be used. Pack of 10 Supplied with 150mm nylon cable ties Miscellaneous Products / MaterialsAny product outside of our standard choice ..